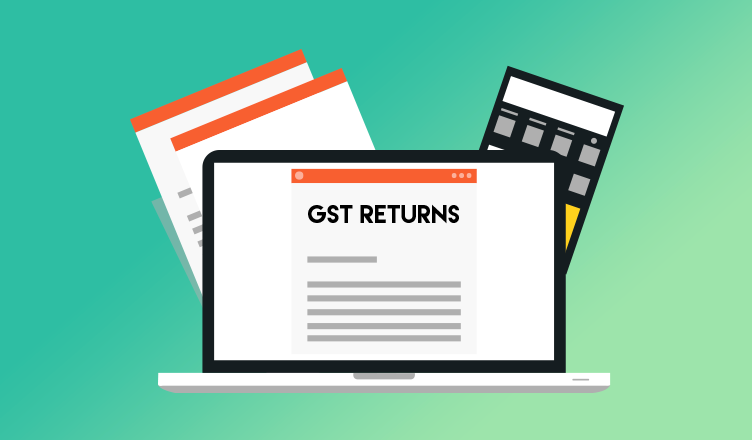 Once your GST registration is completed, you need to know how to process your GST returns – when to file? And Who needs to file? To update the invoices completely, taxpayers and businesses have to file specific returns with the Government. 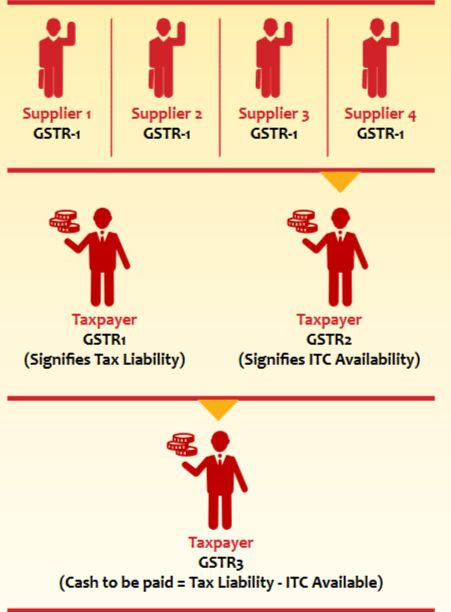 All the information provided by the taxpayer is securely protected and housed by GSTN (Goods and Services Tax Network) – a non-profit organization which is promoted by the central and state governments, in order to boost technical infrastructure and services required for implementing GST reform in the country. 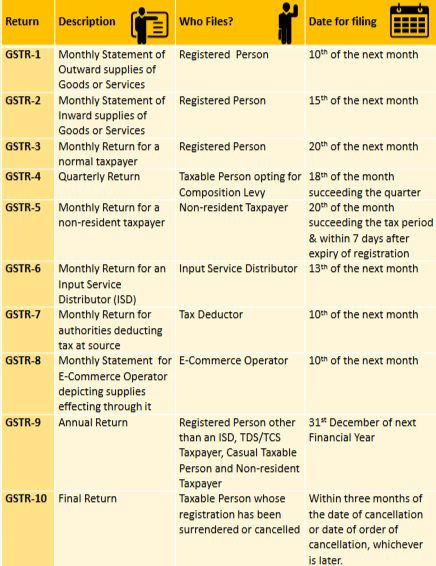 Under the GST law, a normal taxpayer is required to be equipped with 3 monthly returns and 1 annual return. You can file GST returns online by logging in. It all starts with Goods and Service Tax Return 1. 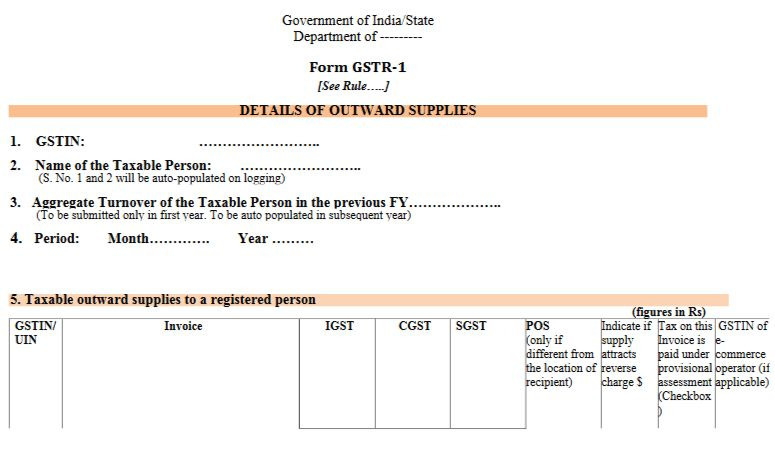 GSTR 1 is a statement of outward supplies and has to be paid by all registered taxable users. It signifies the tax liability of the supplier for his supplies belonging to the previous month. It has to be filed by the 10th of every month. *According to Sec 2(73), the new definition of Outward supply refers to supply in relation to a person, shall mean supply of goods or services, whether by sale, transfer, barter, exchange, license, rental, lease or disposal or any other means made or agree to be made by such person in the course of furtherance of business. For example, you own a furniture business then, a statement of all your outward supplies made for the month of July 2017 needs to file in August 2017. 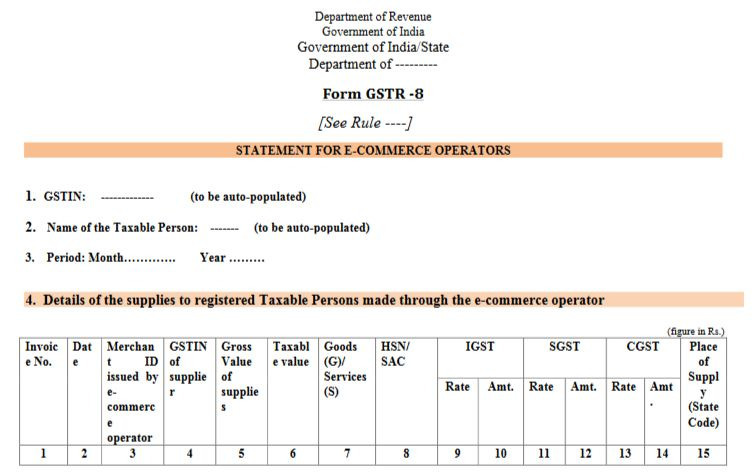 Exceptions: E-Commerce operators, input device distributors, dealers registered under the composition scheme, non-resident dealers and tax deductors. It is a statement of inward supplies. Here, the receiver taxpayer of the goods and services has to file the return within the given stipulated time period i.e.15th of every month. These return filers can accept, modify, reject or keep the invoice filed by the supplier taxpayer in GSTR 1 pending. 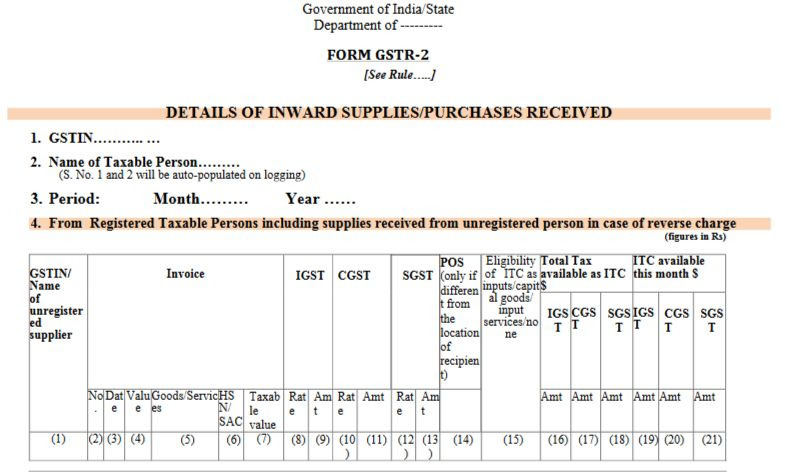 It is auto-populated from the first return filed by the registered taxpayer’s corresponding supplier. For example, now you are at the receiving end of the furniture supplier (example continued from above) i.e. you purchased furniture from the supplier, hence you are the receiving end/ purchaser and have to file GSTR 2. Exceptions: input service distributors, taxpayers under composition scheme and non-resident taxable persons. Real-time input tax credit (ITC) ledger. This return needs to be filed by a registered taxable person by 20th of each month. The date associated with filing your eighth GST return is by the 10th of every month. Here, the taxpayers need to provide complete details of the entire year’s expenses and income. It has to be filed by the 31st of the next Financial Year. In case you go wrong while filing your return, you cannot undo or erase the mistake at the same time. 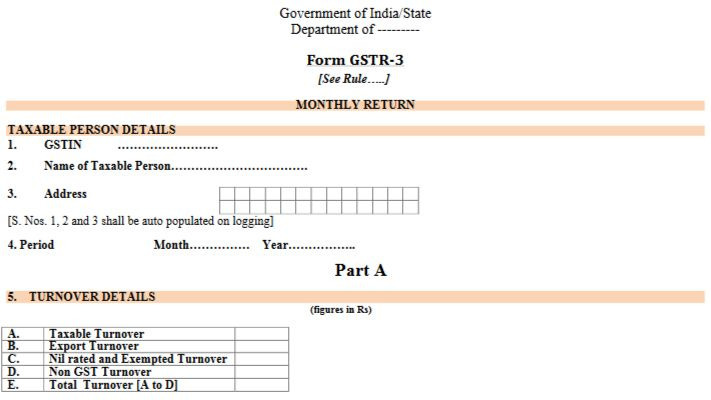 You can revise or make changes in your previous month’s GSTR, only in the amendments section on the next month’s returns form. In case you do not file your return on time (within the due dates mentioned above) you will be penalized with Rs.100 per day and the amount can rise up to Rs. 5000 as the case may be. Disclaimer: Please consult a GST expert / Chartered Accountant (CA) before filing your returns.